If you forgot your root password, then it’s not a big deal. 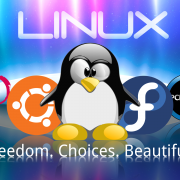 Below are the methods to reset root password in different linux distributions. First power on your Redhat/CentOS 7 server. At the boot menu, select the Kernel you want to boot up and press e to edit the selected boot entry. Then press CTRL+X to enter into single user mode. As you can see, 41% of attacks are caused by security issues within your hosting platform. This covers a lot of techniques, such as using a URL parameter to process an SQL injection. This technique allows the hacker to add code to your database, which can allow them to change data (e.g. your password), retrieve data, or delete data (i.e. delete all your posts and pages). A whopping 51% of attacks were made through a WordPress plugin or theme. Hackers can do things such as insert an eval base 64 decode code which allows them to run a PHP function from your website (e.g. to send spam). 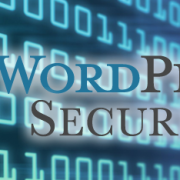 WordPress Security Keys were first introduced in WordPress versions 2.5, 2.6, and 2.7. The keys improve encryption of the information that is stored in a visitor’s cookies. They will also make it harder to crack your password as it adds random elements to them. A salt key phrase is added to make it even more secure. Eight keys and salts can be generated through the WordPress Salt Keys Generator. Once the code has been generated, you simply replace the code above with the unique generated phrases. You can use a plugin such as Disable XML-RPC Pingback and Disable XML-RPC and reduce the change of your website being attacked. Hackers use brute force attacks to try and gain access to your WordPress admin area; continually trying new random usernames and passwords. One of the best ways to protect your website against this kind of attack is to install Login LockDown or Login Security Solution. The plugins allow you to limit the number of login attempts from a given IP range. The great thing about these plugins is that they record the IP address of anyone who fails a login attempt. You can use this information to block those people from your website indefinitely using the .htaccess technique. A two-step login authentication process will make it even more difficult for hackers to access your website through a brute force attack. It forces everyone to use an authorisation code in order to login to your website. For example, you may have to provide a code that can only be accessed via your mobile phone. Malicious parties can attack your login page because they know that a default installation of WordPress can be logged in at www.yourwebsite.com/wp-admin/ and at www.yourwebsite.com/wp-login.php. Moving the location of your login files makes it very difficult for hackers to perform a brute force attack. Rename wp-login.php – A multisite friendly plugin that allows you to change your login page. 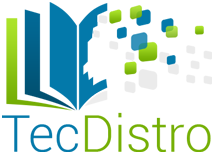 Once activated, the wp-admin directory and wp-login.php page will be inaccessible. Hide Login+ – Allows you to change name of your login page, admin area, logout page, and forgotten password page. Lockdown WP Admin – Another useful plugin that can conceal your admin area and login page. If you forget the new location of your login page and admin area, you can reset everything by simply deactivating the plugin in question. You can do this by renaming the name of the plugin folder contained within /wp-content/plugins/. Alternatively, you could delete the plugin and reinstall it once you have logged back in to your website. Unfortunately, this information is useful to hackers, particularly if you are using an older version of WordPress that has a security hole. Alternatively, you can remove the WordPress version number by installing the plugin Remove Version. Another way an attacker can potentially gain access to your username is via the author archive pages on your site. This is less than ideal, for the same reasons explained above for the “admin” username, so it’s a good idea to hide this by changing the user_nicename entry in your database, as described here. The goal with your password is to make it hard for other people to guess and hard for a brute force attack (known as DDos attack) to succeed. Many automatic password generators are available that can be used to create secure passwords. In addition to using a strong password, it’s a good idea to enable two-step authentication as an additional security measure. Word Press directory: all files should be writable only by your user account, except .htaccessif you want WordPress to automatically generate rewrite rules for you. 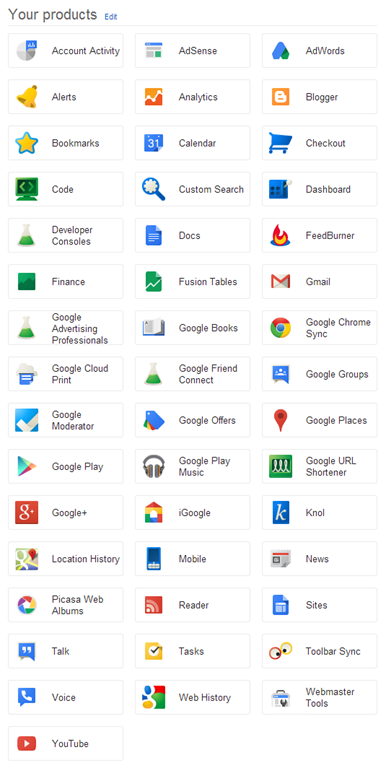 Here is a list of all Google products, services, and tools that I’m using. 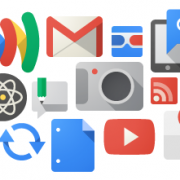 To see a snapshot of the Google products you use go to Google Dashboard which lists some of the top Google products and services that you have signed up for and it also shows what Google knows about you. Hummingbird – Expanded query analysis. For example, if you search for ‘best pie place in Seattle’ Google will also search for ‘best pie restaurant in Seattle’. PageRank – link analysis algorithm. Snapshots – mechanism that indexes PDFs, Word documents, and more. Search engine optimization – process of improving the volume or quality of traffic to a web site from search engines. Google Search functionality – Google Search includes Boolean logical operators, wildcards, and more, to help users refine their searches. Multiple languages – Google Search is supported by a large number of different languages. Author Rank – The idea that an online author can have topical authority within Google Search Results. Experimental Search – options for testing new interfaces while searching with Google, including Timeline views and keyboard shortcuts. Google Alerts – email notification service, which sends alerts based on chosen search terms, whenever there are new results. Alerts include web results, Groups results news, and video. 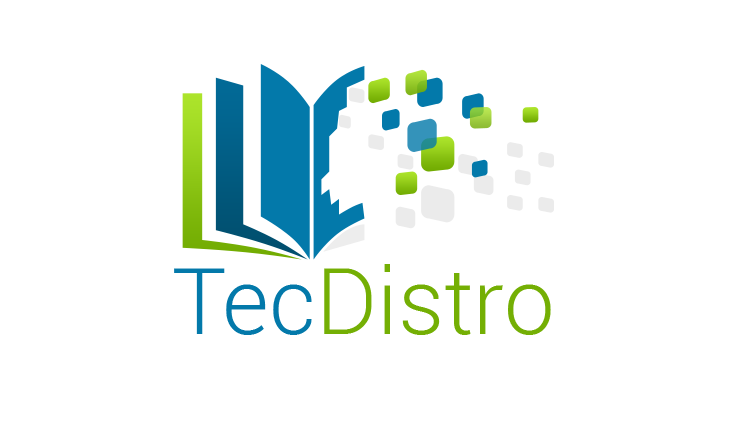 Google Books (formerly Print) – search engine for the full text of printed books. Google scans and stores in its digital database. The content that is displayed depends on the arrangement with the publishers, ranging from short extracts to entire books. Google Custom Search – allows a user to create a customized search experience for his/her own website. Renamed from Google Co-op, which in turn replaced Google Free Search. Google Finance – searchable US business news, opinion, and financial data. Features include company-specific pages, blog search, interactive charts, executives information, discussion groups and a portfolio. Google Groups – web and email discussion service and Usenet archive. Users can join a group, make a group, publish posts, track their favorite topics, write a set of group web pages up datable by members and share group files. In January, 2007, version 3 of Google Groups was released. New features include the ability to create customised pages and share files. Google Hotel Finder – Provides searches similar to other Online Travel Agencies (Travel website) that searchers can search for check-in and check-out dates. Google Flight Search – a service that allows users to search for flights from many airlines to many destinations, offering tools such as price comparisons and travel recommendations. Google Image Search – image search engine, with results based on the filename of the image, the link text pointing to the image and text adjacent to the image. You can also make a search by uploading a picture from your computer.When searching, a thumbnail of each matching image is displayed. Language Tools – Collection of linguistic applications, including one that allows users to translate text or web pages from one language to another, and another that allows searching in web pages located in a specific country or written in a specific language. Life Search (Google China) – Search engine tailored towards everyday needs, such as train times, recipes and housing. Movies – specialised search engine that obtains show times of films near a user-entered location and provides reviews of films compiled from several different websites. Google News – automated news compilation service and search engine for news. There are versions of the aggregator for more than 20 languages. While the selection of news stories is fully automated, the sites included are selected by human editors. Google News archive – feature within Google News, that allows users to browse articles from over 200 years ago. Google Patent Search – search engine to search through millions of patents, each result with its own page, including drawings, claims and citations. Google Recipe View – lets you narrow your search results to show only recipes, and helps you choose the right recipe amongst the search results by showing clearly marked ratings, ingredients and pictures. First mentioned on Google’s blog in February 2011. Google Scholar – search engine for the full text of scholarly literature across an array of publishing formats and scholarly fields. Today, the index includes virtually all peer-reviewed journals available online. Google Shopping (was Google Product Search and Froogle): price engine that searches online stores, including auctions, for products. Beginning in Fall of 2012, it will become a fully commercial product, only indexing paid listings. Suggest – auto-completion in search results while typing to give popular searches. Web History (was Google Search History, Personalized Search) – web page tracking, which records Google searches, Web pages, images, videos, music and more. It also includes Bookmarks, search trends and item recommendations. Google released Search History in April 2005, when it began to record browsing history, later expanding and renaming the service to Web History in April 2007. Knowledge Graph – a knowledge base used to enhance search results with semantic information gathered from several sources. Zagat – a source of consumer survey-based information for restaurants and other leisure activities. In 1991, in Helsinki, Linus Torvalds began a project that later became the Linux kernel. He wrote the program specifically for the hardware he was using and independent of an operating system because he wanted to use the functions of his new PC with an 80386 processor. Development was done on MINIX using the GNU C compiler. The GNU C Compiler is still the main choice for compiling Linux today. The code however, can be built with other compilers, such as the Intel C Compiler. PS. Yes – it’s free of any minix code, and it has a multi-threaded fs. It is NOT portable (uses 386 task switching etc), and it probably never will support anything other than AT-harddisks, as that’s all I have :-(. Healthcare administrators focus on the ins-and-outs that make a healthcare system or hospital function. Health administrators have a strong background in both management and healthcare, and, more often than not, hold at least a Master’s degree. For an individual who is organized, driven, and knowledgeable, healthcare administration is a dream job. Learn how to get started on the path toward becoming a healthcare administrator now.